January is a time for fresh beginnings, and nowhere is this more apparent than at the top of some of Britain’s theatre venues and companies, with a wave of new executive directors getting their feet under the table. Kerry Whelan is starting work at Frantic Assembly, Kirsten Burrows will take up her post at Tiata Fahodzi next month, and Judith Dimant will join Emma Rice at Wise Children in the spring. Elsewhere, Lauren Clancy has received a promotion at the Bush Theatre following the departure of Jon Gilchrist, who this month becomes executive director of Home. Meanwhile, the Young Vic is on the lookout for a successor for Lucy Woollatt, and the Yard is recruiting for a new executive director following Lucy Oliver-Harrison’s five-year stint. The Donmar will be seeking a successor for Kate Pakenham (an executive producer rather than an ED – more on this later) alongside the search for a new artistic director. I am coming to the end of my own tenure at Camden People’s Theatre and feel it’s a good time to consider why the executive director role is so important – and to bust a few myths about the role that refuse to die. Firstly, it’s probably worth setting the record straight on what we executive directors actually do. Typically, the ED is the person responsible for leading the delivery of a strategic plan and mission set by a board. In practice, the means of doing this can be as varied as the organisations themselves. A day in the life of each executive director is likely to be very different – some will be heavily involved in producing the artistic work of the theatre, while others may spend a large percentage of their time focused on the finances, or working with architects on plans for the building. Consequently, the role often seems to be misunderstood, and I’ve occasionally had the sense that executive directors are seen as little more than ‘bean counters’, preoccupied with making the numbers add up – even at the expense of the creative output. I think there’s a certain alchemy about the job of an executive director. An instinctive grasp of the organisation’s artistic aspirations is required, and the ability to organise the business infrastructure in order to achieve them. The executive director leads the decision making that informs everything from the price of your interval drink to the image on the front of the season brochure. These decisions aren’t just incidental – they shape the audience’s experience of the work. Consider how difficult it is to buy into the environmental credentials of a show with the name of an oil company plastered all over the poster. A great executive director will ensure that all decisions made by his or her team are driven by a deep understanding of the organisation’s mission and ethics. “There’s a translation process, I have to understand the strategy we’re working with, and translate it creatively; the business side is about how artistic changes are implemented, shared and carried,” Ovalhouse’s Stella Kanu says. And yet, the prevalent notion of the executive director as a money orientated ‘suit’ persists – to the extent that some prefer to eschew the title altogether. Lucy Davies at the Royal Court was employed as an executive director, but changed the job title to executive producer, because, she felt, “an executive director sounds like someone who runs a business. I felt in a producing building the person alongside the artistic director should be an executive producer. But my job description is exactly the same as an executive director”. In fact, Davies’ partnership with Vicky Featherstone, the Royal Court’s artistic director, is, for me, a stellar example of what can be achieved when the executive and artistic leadership of a theatre work in harmony. A case in point was their swift, uncompromising response to the #MeToo movement. No Grey Area was an event held within a couple of weeks of the stories breaking, at which accounts of sexual harassment and abuse were shared, and solutions discussed. Soon after the theatre launched a code of conduct for the sector. “It felt like we had the right structural mechanisms and fearless individuals to just do it. It happened fast and rigorously – we just dived into it,” Davies told me. In contexts like this, the executive director – or executive producer – can be the person driving innovation, by giving the artistic director confidence in the organisation’s capacity for risk. As Emma Stenning highlighted last year, the fast shifting operating conditions of British theatre mean that the required skill set of an executive leader is increasingly broad, and in addition to being a great producer and financial planner, an executive director might well need to be a savvy political negotiator, an expert in urban regeneration and a local figurehead. This undoubtedly enriches the sector as a whole, with executive directors entering their posts from much more diverse backgrounds than they may have done a couple of decades ago. While executive leaders like Davies and the Almeida’s Denise Wood started out as producers, Gilchrist came into his role from the Lowry, where he was marketing director. Both Lisa Burger at the National Theatre and Woollatt at the Young Vic come from finance backgrounds, while the Old Vic’s Kate Varah has a legal background. 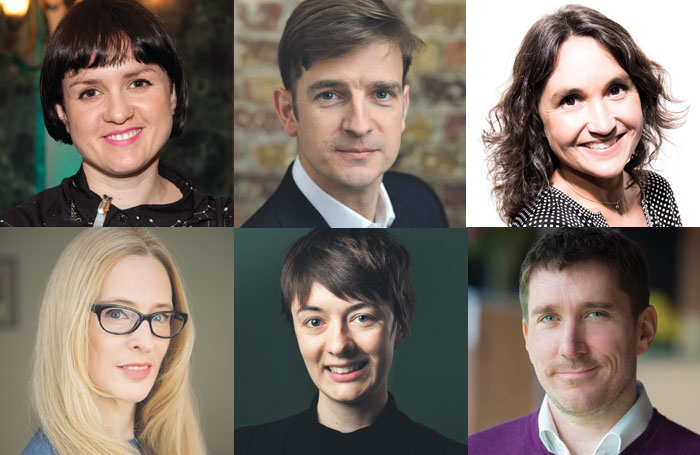 With this many new executive directors taking up their posts, we could be about to witness a whole new era of innovative, creative, executive leadership that will have a knock-on effect for the industry as a whole. Let’s hope it finally lays those ‘bean counters’ and ‘suits’ myths to rest.